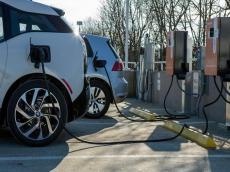 SOCAR Energy Switzerland, a subsidiary of Azerbaijan's State Oil Company SOCAR, will build 20 electric vehicle (EV) charging stations in Switzerland, Trend reports referring to the company. The company became the winner in one of the five lots of the tender announced by the Swiss Federal Roads Office. New EV charging stations will be built in the years 2019-2023. SOCAR is the only company that operates traditional filling stations, that won the tender. Currently, SOCAR's service network has seven such stations. In the future, the company expects to increase the number of stations. SOCAR currently owns 170 filling stations in Switzerland, 61 stations in Ukraine, 41 premium stations in Romania, nine stations in Turkey and 145 stations in Georgia. SOCAR Energy Holdings (a subsidiary of SOCAR in Switzerland) also became the owner of 82 filling stations of the A1 company in Austria and the owner of Pronto Oil and entered the retail fuel market.